Providing children with Internet security does not only entail keeping them safe from obvious dangerous such as sexual predators and scams. It is also important to note that there are side effects of the Internet which children should be protected from as well. Sadly, some of the things that children may need to be protected from are self-inflicted. Teen development is, in large part, about separating from parents and gaining peer acceptance, and social networking sites allow them to do both. But if online harassment or rejection occurs, such as “de-friending,” symptoms of depression may be the result. Technology is great, isn’t it? We can scroll through Facebook and see what our family and friends are doing. We can start a conversation on our desktop and continue on our phone in the woods while we mushroom hunt. Then we can send a picture when we find the biggest one. Technology can help us learn and help keep us entertained. But can too much technology be a bad thing? Parents are trying to maintain a respectful distance and still keep an eye on their kids’ interactions and relationships, contending with Snapchat, Face-time, Facebook, Skype, texting and endless selfies. A teen or tween can base their entire reputation on their online social life, wanting to look as good as or better than the images they see. Even games and movies are filled with unrealistic images of sleek men and women, with size 2 avatars and beautiful, slim princesses dancing with barrel-chested princes. A steady diet can skew a child’s reality of how “normal” people look. Teens and Social Media: Are Social Skills Slipping? And what of the face-to-face social skills that seem to be lacking when the phone is the eternal attraction? Teens are reported to have accidents both on foot and in vehicles, too concerned with what is coming across the screen. People have even died after being distracted when taking selfies. Peer pressure is something that is increasingly commonplace among young people and often it can have a major bearing on how they live their lives. Thanks to social media and improved communication networks, tweens and teens are in constant contact with peers. From updating statuses, looking at photos and instant messaging, children are linked to friends on a 24-hour basis, which has its advantages as well as its dangers. Behavior changes. Look out for changes in your child’s behavior, especially when they are around certain groups of friends. Watch for the things they say, the way they act and the things they do; if they seem to change around certain people, this is a sign that they may feel under pressure to behave in a certain way. 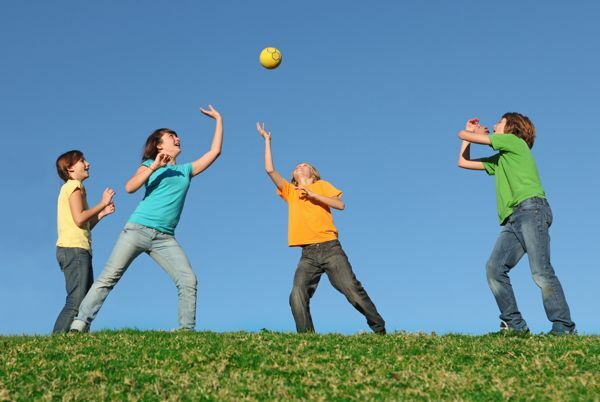 Physical activity for kids is extremely important to overall health. The Centers for Disease Control and Prevention suggest children (and adults) get at least 60 minutes of exercise each day; but this is easier said than done. The problem is that kids today are not the same as kids were 20 or 30 years ago. Older generations of children spent most of their time outside playing, while kids today, no matter how old they are, have access to smart phones, tablets, video games, computer games, and other electronics. Technology has a widely-known correlation with childhood obesity and this correlation is especially present in the US. Although this concern is not 100% off-base, technology is not completely to blame. As an adolescent counselor, most of my time is spent talking and connecting with text-happy, Instagram-snapping, YouTube-watching, Halo-shooting, iPhone-obsessed middle- and high-schoolers and their parents. I get it. I really do. I have three tween-to-teens of my own. So, when it came to writing an article on digital addiction and adolescents, I didn’t have to look much further than my own house. Seriously, it was in my own house. It's no wonder that parents spend so much time contemplating illegal drugs, given the large number of horror stories on the news every night. But as you weigh how to talk to your child about heroin, pot, and meth, an equally dangerous drug lurks in your medicine cabinet. Prescription drugs pose serious dangers to your child, and it's just important to protect your child from these drugs as it is to protect her from illegal street drugs. The Office of National Drug Control Policy reports that prescription drug abuse is now the single largest drug threat to teenagers. While illicit drug and tobacco usage rates have remained relatively stable, prescription drug abuse rates among teenagers have increased 33 percent over the last five years. A study commissioned by MetLife in 2008 found that one in four teens had abused a prescription drug at least once. But teenagers are often blind to the risks of prescription drug abuse. Fifty percent of teens believe that prescription drugs are safer than street drugs, and between 60 and 70 percent of teen drug abusers rely on prescription drugs as their primary means of getting high. Like most parents, you're probably worried about your kids' brains frying over the summer holiday. Research has shown that all kids experience learning losses when they are not engaging in educational activities during summers. With technology being a major pastime of kids, tweens, and teens, it is even more disconcerting to think that they could spend the next few months sitting on the couch consuming mindless screen entertainment. While technology has many "mindless entertainment" options available for all age ranges, it can just as easily be used educationally. Avoid the pitfalls of summer learning loss by combining technology with learning through encouraging the use of educational apps.